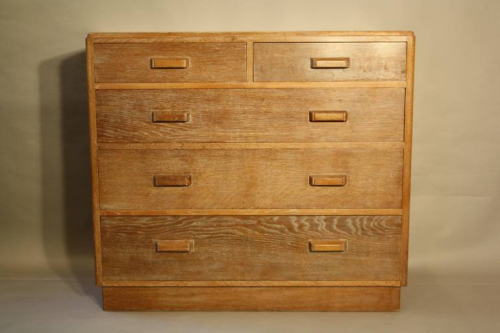 An exceptionally well made limed Oak wood chest of drawers. Graduated drawers and wooden handles. This piece was made in the UK in 1969 as per stamp on the back of the drawers.